Catherine Cookson was a twentieth century popular fiction writer who became Britain’s widely read novelist, selling over hundred million copies of her novels. Moreover, she is credited for writing the story for the highly acclaimed film, Colour Blind. Cookson was born as Catherine Ann McMullen in June 27, 1906 in Tyneside, England. She was raised by her grandparents as she was an illegitimate child of an alcoholic mother, whom she first assumed to be her sister. She moved to East Jarrow, County Durham with her grandparents and the location served as the setting for her novels. At the age of 13 she left the school without completing her studies. Henceforth, she took up a number of odd jobs to support herself and saved every single penny so she could buy a house. After years of hardships, she eventually settled down, marrying a high school teacher, Tom Cookson. She suffered from rare vascular disease that resulted in her four consecutive miscarriages. The tragic series of events led to her mental breakdown and she convalesced for a decade. So as toward off the perpetually settled depression, Cookson found console in writing. She joined Hastings Writers’ Group that helped her hone her writing skills and artistic sense. In 1950, she made her writing debut with Kate Hannigan. Although the novel was categorized as romance, Cookson shared her discontent regarding its stereotypical classification. She claimed her novels to be of historical nature primarily. Half a century later sequel to her first novel, Kate Hannigan’s Girl (2001), appeared posthumously. Subsequently, she wrote numerous novel, short stories and autobiographies in series format. Some of her well known works include The Mary Ann stories, The Mallen trilogy, The Hamilton trilogy, Plainer Still and Our Kate. Cookson’s books were well researched and often caused her huge inconvenience. For instance, she once visited a mine as the female protagonist she created is shown to be located in a mining area. Leading an ordinary life in her youth, she longed to write about the privileged class. However, she grew up to realize that the extraordinary stories lies with the ordinary people, hence she pursued their stories in her writing. Furthermore, her literary works have been translated into twenty different languages. She wrote under two pen names; Catherine Marchant and Katie McMullen. She authored almost hundred books and over 123 million copies of her works have been sold worldwide. 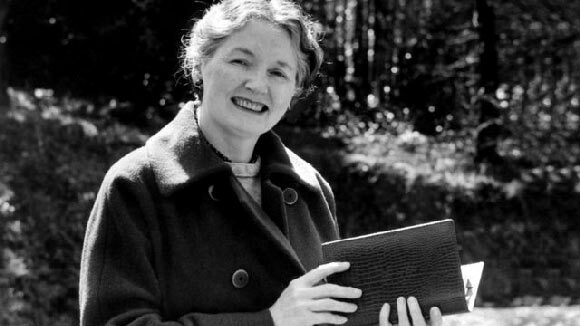 The popularity of her literary work is evident by the fact that she enjoyed the title of the most borrowed author from public libraries in the UK. She continued to hold the title for seventeen years until after her demise. Additionally, she profusely contributed to other forms of arts and entertainment. Most of her works were adapted for big and small screen, radio and theater. Her novel, titled A Grand Man, was taken up for film adaptation, released in 1956 as Jacqueline. In 1958, George Pollock directed a film based on Cookson’s Rooney. A stage musical premiered in 1983 was inspired by the author’s Katie Mulholland. In fact, she gained the utmost popularity through television. ITV adapted her eighteen books in a drama series which received highest ratings over the decade. The success of her works brought her great wealth but she remained frugal. She began philanthropic work discreetly and made huge difference in the lives of impoverished suffering patients and struggling writers. In 1993 she became a Dame Commander of the Order of the British Empire. Catherine Cookson continued to write till her final years and passed away at the age of 91.